The masters of the mind. There are none more skilled in the mental arts than the mjol. 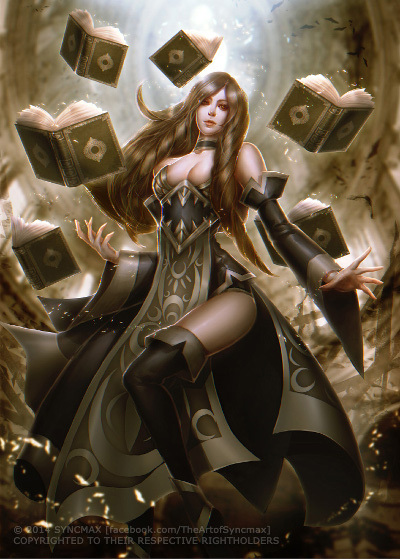 Their lifelong belief that the mind is the most powerful weapon in the realm, has over time forged some deadly, dangerous spellcasters. They believe the body can and will grow weak, and frail. They believe the spirit is fallible, capable of being broken down and shattered. The mind, however, is a different story. They believe there is nothing known in existence that can rob one of their mental power, save perhaps for a stronger mind. It is this that drives the mjol always forward, always seeking that knowledge that will allow them access to every chamber, every level, every corner of the mind. Once this complete control of the psyche is obtained, the mjol will naturally become the most powerful being in all the land. Mind over matter is simply not enough for the mjol. In the end, the only true victory is mind over mind.